Part one, in a three part series on shrimp patterns, takes a closer look at the Mysis Shrimp. I have been tying and fishing this pattern for the last 10 years and have had a lot of success with it. Pat Dorsey says it is the deadliest mysis pattern. Several other guides and fly fishermen agree. I specifically designed this fly for the tailwaters below Dillon Reservoir. During the winter they will release water from the dam and the mysis get so thick that it looks like ice on the rocks and in the weeds. When you pick up a fish that has been gorging on mysis it will literally crunch when you handle them. They regurgitate what ever they were eating and go back to feeding once you release them. 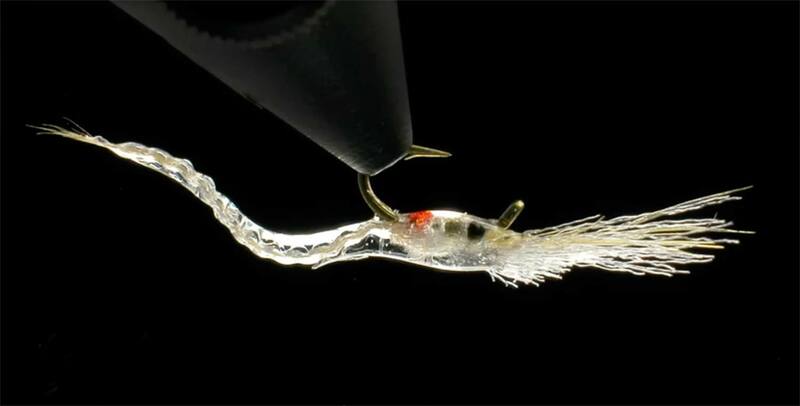 This entry was posted in Fly Tying, The Hot Ticket, Trout Fishing and tagged in a three part series on shrimp patterns, Part one, takes a closer look at the Mysis Shrimp. by Louis Cahill. Bookmark the permalink. Beautiful work as always Herman. I really enjoyed that. Thank you for sharing! Hope its a great day for you.